After perhaps the most dramatic race this season, when Jimmie Johnson and Martin Truex Jr. crashed just before the finish line at the Charlotte ROVAL, NASCAR heads to a more conventional course at Dover on Sunday. 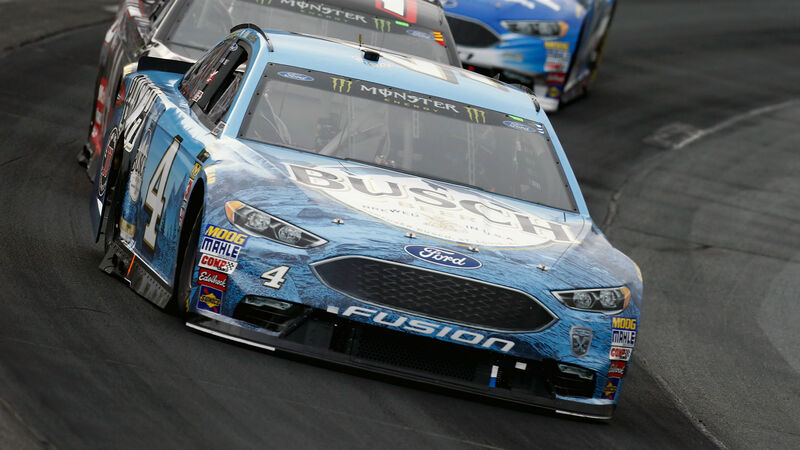 Unlike the part-oval, part-road course drivers faced last week, which featured multiple high-impact wrecks, this race presents an opportunity for playoff point leaders such as Kyle Busch and Kevin Harvick to avoid trouble and maintain their positions. Alex Bowman, Aric Almirola and Kyle Larson rank in the bottom three of the playoff standings and could use a strong performance Sunday to boost their chances at postseason advancement. 3:04 p.m. — Timmy Hill is done. 3:01 p.m. — Bowman, who entered this race near the cutoff line, is being lapped. #NASCAR … Leader Kevin Harvick puts playoff driver Alex Bowman a lap down on Lap 96. 2:51 p.m. — Here’s Clint Bowyer drifting around a turn. 2:48 p.m. — Harvick came into Sunday in prime position to advance to the next round anyway, but this is very impressive. 2:46 p.m. — Halfway through Stage 1, the top 3 is Harvick, Keselowski and Kyle Busch in that order. 2:41 p.m. — Harvick is getting it done right now. Still in the lead. Kevin Harvick, who led 201 of a possible 400 laps, swept all the stages and won the spring Dover race, currently holds a four second lead over second-place Brad Keselowski. 2:33 p.m. — Among playoff racers, Alex Bowman is having the worst day in 13th place. We’re through 35 laps. 2:30 p.m. — After experiencing technical issues, Jimmie Johnson is way behind the pack. He’s no longer in playoff contention, though. 2:20 p.m. — Through 20 laps, Kevin Harvick is in the lead. Kyle Busch and Brad Keselowski trail just behind. 2:15 p.m. — We’re underway! 1:49 p.m. — Big pre-race hug for Kurt Busch. 1:15 p.m. — Will Team Penske pull out a win today? 12:28 p.m. — Looks like Jimmie Johnson still feels bad about what went down at the end of the ROVAL 400.